Are Fire Sprinkler Systems a Job for Plumbers? You might think that you’re familiar with a plumber’s scope of work, but they can perform a number of tasks that might surprise you. Plumbers do so much more than fix toilets, faucets, and water heaters; they also handle both residential and commercial fire sprinkler systems. Many commercial buildings now require sprinkler systems, and plumbers are responsible for their installation and maintenance. If you think about all of the moving parts of a sprinkler system, it makes sense that a qualified plumber would be the one in charge. Even though plumbers are supposed to install the fire sprinkler system in a building, not every plumber is trained for that kind of job. They must be able to install an intricate fire alarm system in a commercial building. 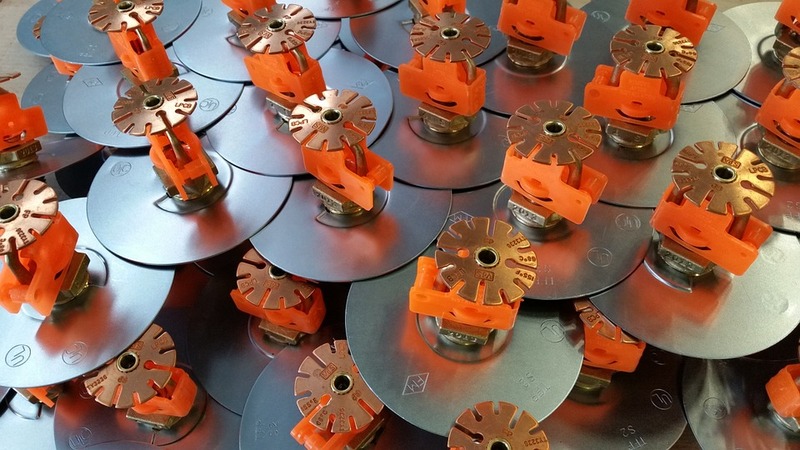 Sprinklers are the building’s first line of defense against fire, so most building codes across the country require fire sprinkler systems in commercial properties. Qualified plumbers need to know how and where to install sprinklers so that the building will be as safe as possible. A fire sprinkler system is designed for two things: to put out a fire once it starts and to decrease the damage that a building fire could cause. The system is synced to the building’s smoke detector or internal thermometer. It will kick on once smoke is detected or when the temperature inside the building breaches a certain threshold. A properly installed fire sprinkler system can extinguish a blaze that is just getting started, or at least minimize the damage the fire could cause. Buildings nowadays are so close together that squelching a fire as soon as it begins can prevent massive loss of life and merchandise. Losing merchandise to fire could cause a substantial financial blow to any company, but saving lives from fire is the main priority. The number of building fires and casualties from fires has significantly decreased with the installation of fire sprinkler systems. Some studies estimate that with the help of properly installed fire sprinkler systems and smoke detectors, casualties have decreased by around 80 percent. When you are looking for a qualified plumber to install and maintain your building’s fire sprinkler system, it is essential that you spend time checking the credentials of the potential hires. Not every plumber has the training and skills to do the job. It will be a good idea to check with your state’s licensing board to find the qualified plumbers in the state that can install and maintain a fire sprinkler system. You can also check the local plumbing companies in your city. Go into their website and find out if the installation and maintenance of a fire sprinkler system is one of the services they offer. The safety of your home or business is not something to put into the hands of fate. Properly installed sprinkler systems are proven effective in reducing the damage caused by fires, so make sure that you do your research to find the most qualified professional to do the work.